A haven of luxury awaits you at the 5 star Terre Blanche. Set within 300 hectares with rolling views of Provence in the South of France, sumptuous cuisine, luxurious accommodation and activities for all await you. 115 beautifully furnished 60m₂ suites and 100m₂ villas offer high speed internet, flat screen TVs and to top it all off dressing areas and marble bathrooms with heated floors. The private patios and terraces of your light and airy accommodation give you the opportunity to watch the setting sun at the end of a fulfilling and relaxing day. Prestige villas are perfect for larger groups and families with the option of private pools, Jacuzzis, kitchens and dining rooms. The spacious Terre Blanche is linked by flower lined pathways which you can stroll along to reach all of the resort's facilities. A buggy service is available at all hours of the day and night too. A variety of dining options will tempt you each day from Mediterranean, fine Provencal cuisine, the shaded Tousco restaurant by the infinity pool and delicious cuisine at the golf club house. Pamper yourself within the 14 treatment rooms at the tranquil spa and relax in the calm waters of the indoor pool. For those looking to mix relaxation with something more active, the resort boasts tennis courts, two 18-hole golf courses and a driving range. Why not take the opportunity to perfect your stance and swing at the golf academy in perfect surroundings? 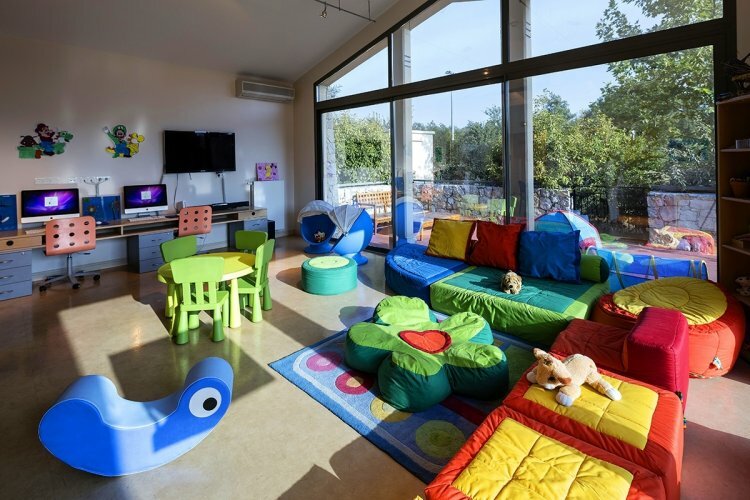 The Terre Blanche's kids club for ages 2-12yrs has fun filled days within their playrooms, kids' pool and days out. Feel content that your children are being well looked-after be it at a workshop to create local arts, learn local sports or group picnics. Your children can enjoy outings to learn about bee keeping, visit the animal park and compete in their own mini Olympics. Whether it's simply a week relaxing by the pool, visiting the local villages and vine yards or a round of golf The Terre Blanche is the perfect getaway for couples and families. **The hotel is closed December - February. "Very cold and snowy (ski holiday)." "The weather didnt matter as we were so busy." "Usual for time of year"
"3 days beautiful. 3 days low cloud and snow"
"Lovely - Sunny every day and relatively warm for February (14-20 celsius)"
"15 DEGREES LOTS OF SNOW"
"Generally very good ski conditions"
"Mixture of wet and dry"
"Too much snow and white days but lots of snow for skiing"
"We had lots of sun and blue skies which was also accompanied by some snow - making it perfect skiing conditions for us." "No rain, mostly sunny - very windy in the South"
"We were very lucky to have only one day of rain. The other days were a little chilly but sunny." "sunny and with the very last of the snow!" "Mainly sunny but skiing still good." "Mainly sunny and warm, showers on one day"
"Very wet. No flooding when we were there although Seine was high." "Excellent first few days but becoming unbearably hot 37C"
"Rained but not to much"
"Hot. Between 34 to 40 degrees." "Much better than the forecast"
"We visited in peak summer so the weather was very hot. It was always above 30 degrees." "Beautiful, probably a bit too hot due to queing for rides"
"Excellent, sunny and warm. No rain"
"Sunny but quite cold 13 deg C"
"dry, only a small shower lasted half hour"
"Mainly sunny (good for autumn )"
"it was dry cold around 1 to 2 degree"
"poor no snow for skiing"